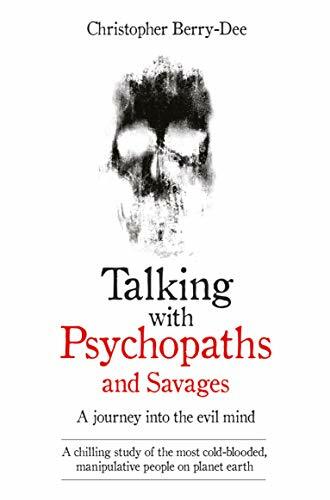 In Talking With Psychopaths and Savages, bestselling author and criminologist Christopher Berry-Dee takes readers deep inside the dark minds of some of the most pitiless and dangerous people alive. Having spent years interviewing imprisoned criminals - including notorious serial killers - he discovered that the lack of remorse these people showed was in many ways even more terrifying than the crimes they had committed. Yet in the course of these conversations, the author also had the chance to interview his subjects' psychiatrists and, in doing so, uncovered a terrible truth: a monster can be hidden behind a friendly face. Some of these experts, he found, proved to have more in common with their patients than he would ever have expected. This book examines horrific crimes committed by some of the most remorseless and merciless people ever to have lived. If it reveals a mindset wholly alien to most people, it also, shockingly, demonstrates that some of the people who treat these psychopaths have their own demons. Talking with Psychopaths and Savages will inevitably shift the reader's view of psychopaths, and in doing so, reveals that horror can be much closer to us than we think.